Resolutely spanning across cultures and time periods the third issue of helden. heroes. héros. 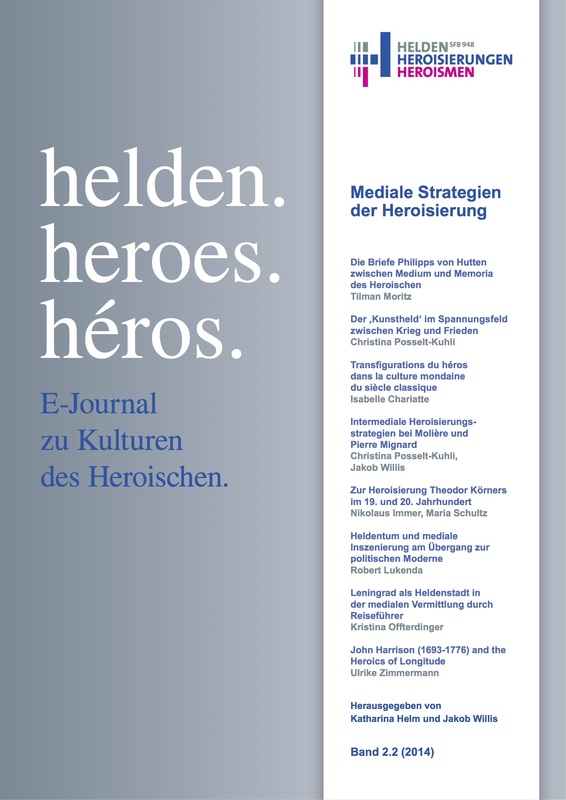 E-Journal zu Kulturen des Heroischen deals with different medial strategies of heroization. The topics range chronologically from the Late Middle Ages to the 21st century and geographically from South America to the former Soviet Union and modern Russia. Among the questions that the contributions from the fields of literary studies, visual culture studies and historiography address, central is how the diverse forms of heroization in mediums of oral, textual, visual, sculptural, musical, cinematographic or medially hybrid presentation can be described. In addition, these contributions make individual strategies in their analyses comprehensible.